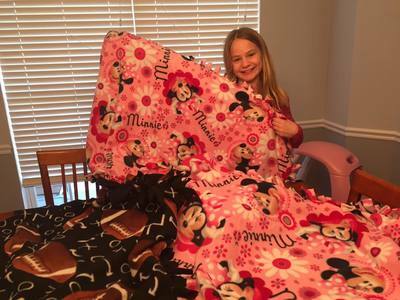 As 2018 comes to a close and a new year has begun, we wanted to take the time to update everyone on some of the projects of Hope 4 Hannah. 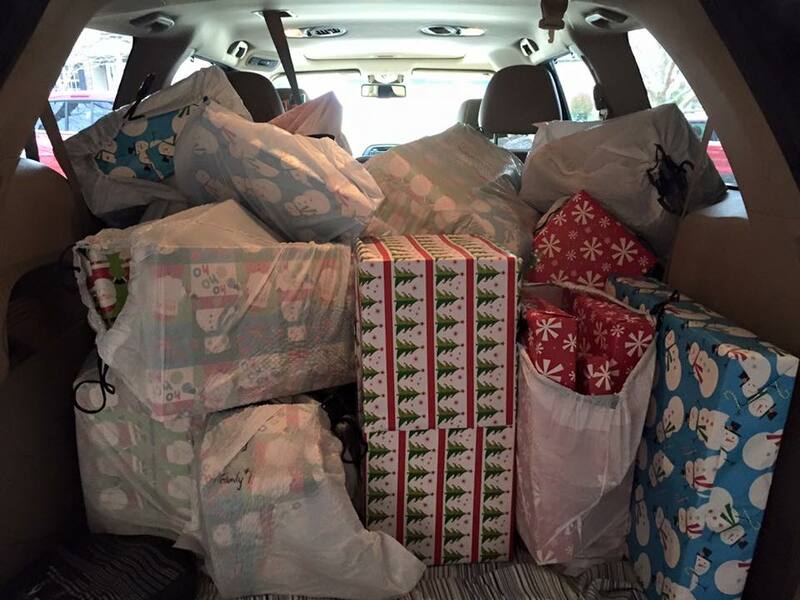 Most recently, we adopted 4 families for the Christmas season. 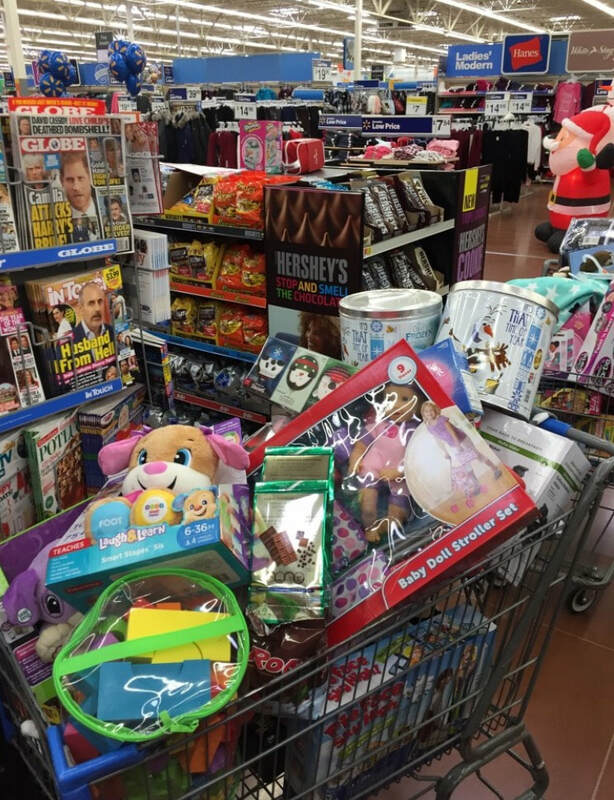 We had a total of 17 kids that we purchased gifts for. 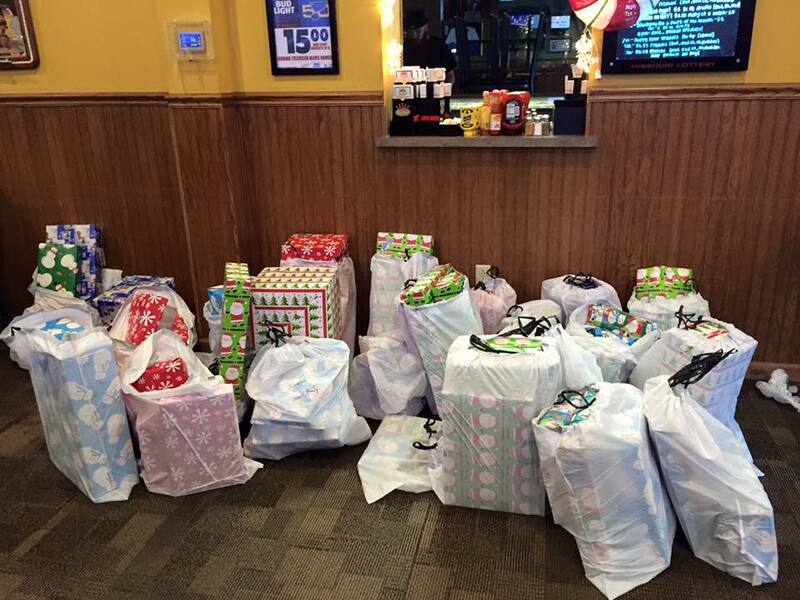 We were blessed enough to purchase 15 presents for each child and purchase family gifts as well. This was our biggest project at Christmas so far, to date. We ended up with 275+ gifts for the kids and families. 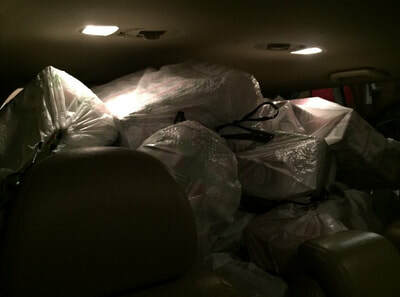 We had so many gifts this year we had to rent a UHaul to deliver all the gifts to Friends of Kids with Cancer. 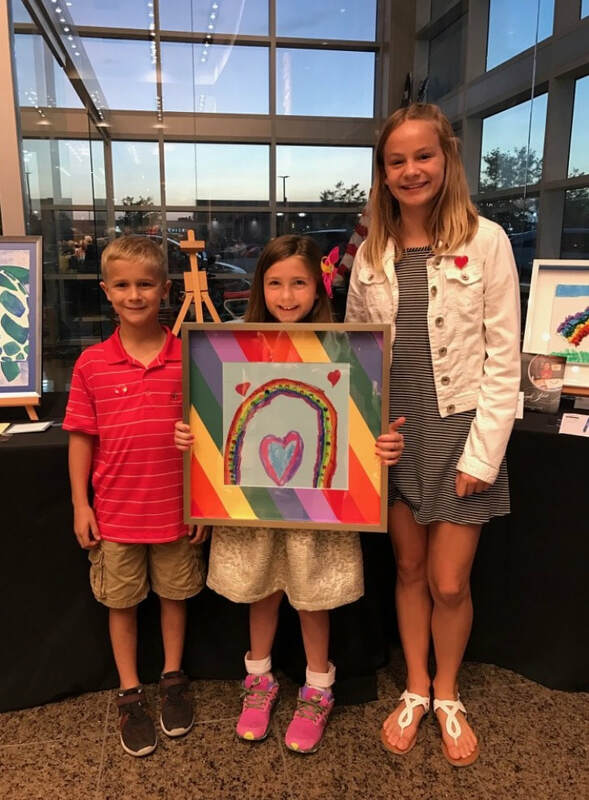 In September we were able to support Friends of Kids with Cancer through the Art from the Heart fundraiser. Hope 4 Hannah was able to purchase local artwork from cancer patients and donate the paintings back to the artists' families. In May, we were able to provide two college scholarships to local high school students at Liberty and Timberland High School. In March, were able to support St. Baldrick's Foundation. In February, we were able to provide financial support to a local family. We didn't have our run this summer, but plan to hold it again this coming summer. We will get the date out soon to save the date. ​As always we want to thank everyone for their constant support!!! 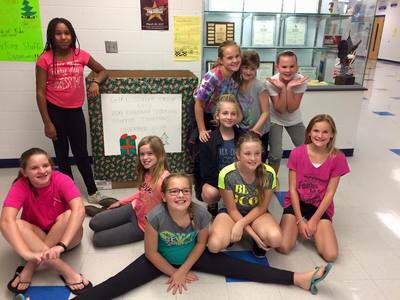 Your donations throughout the year allow us to continue paying it forward. Your donations allow us to help those families as they undergo cancer treatment. 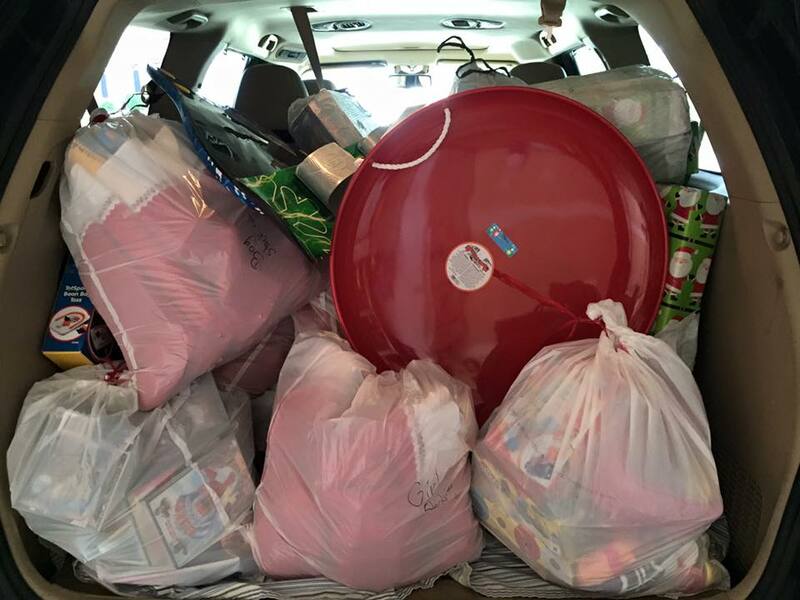 Your donations allow us to continue to help those families as they struggle financially and we are able to relieve some of those burdens. 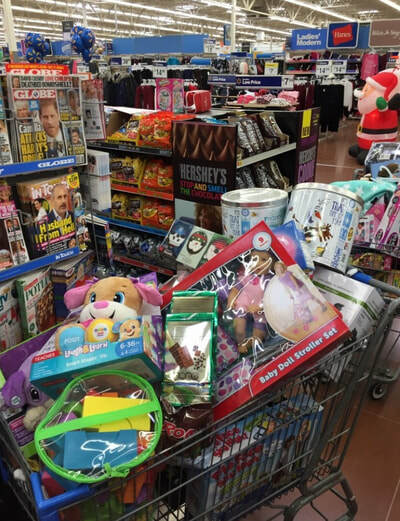 Most importantly, your donations allow us to brighten families Christmas' and make them magical. 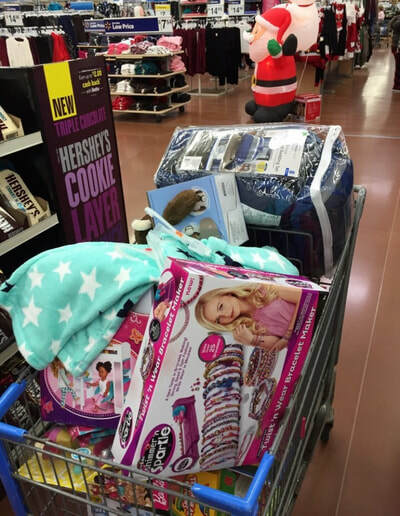 Some of the families may not have another Christmas with their sick children. So thank you for making it so special for those families!!!! Thanks for your continued support in 2018 and for all those who will support us in 2019. Thank you for your support as we battle childhood cancer!!! We wanted to update everyone on some of the projects we have been working on the last few months. 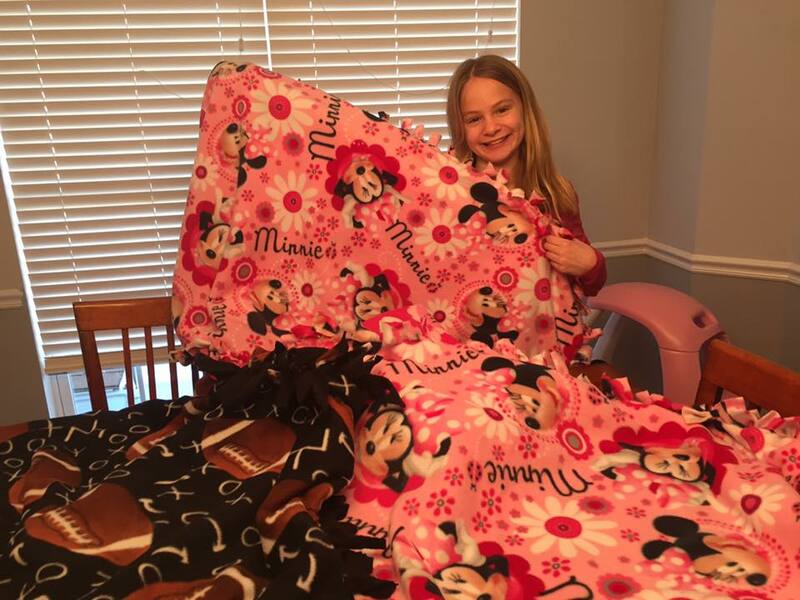 In August, we were able to provide a family with a mini-wish trip vacation to Branson. The family was wanting to attend a Dixie Stampede Show. We were able to help the family with lodging, tickets, food, and gas. The family had a great time! In September, we were able to support our favorite group Friends of Kids with Cancer. 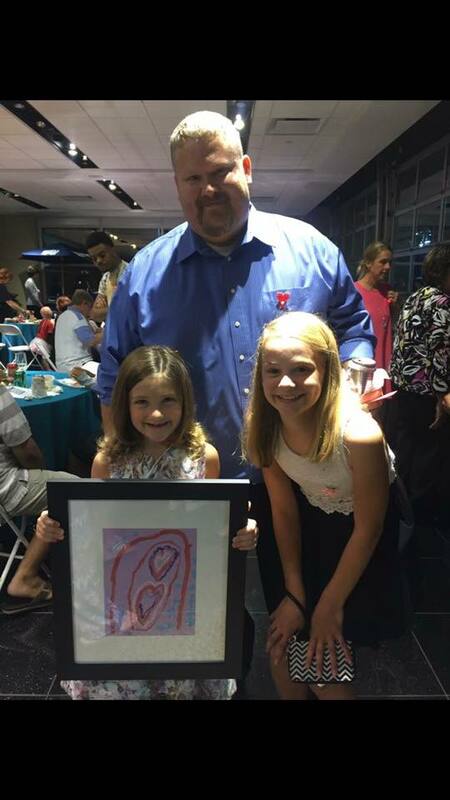 We were able to attend and support the group by purchasing artwork of a child artist undergoing treatment. The event, Art from the Heart is a large fundraiser for the group each year. 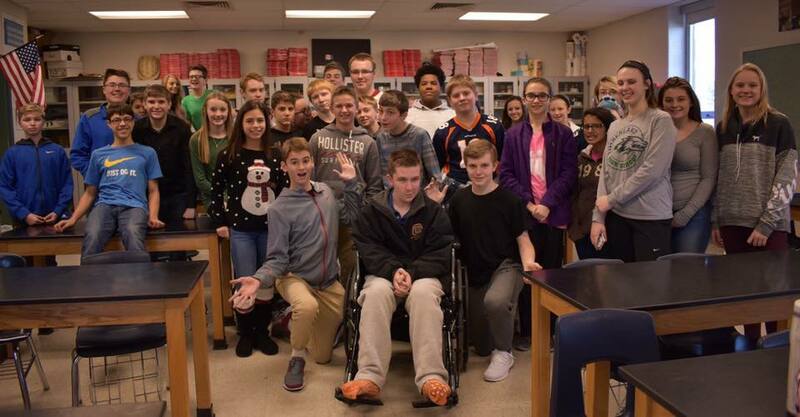 In November, we were able to support Friends of Kids with Cancer financially for a Coat Drive. We were able to provide the group with money needed to buy many coats, hats, and gloves for families undergoing treatment. In December, we were able to "adopt" two families through Friends of Kids with Cancer. 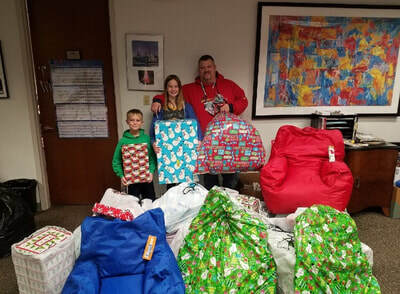 We were able to provide both families with many gifts and were able to make their Christmas that much brighter. We just want to thank everyone for their continued support! Your donations allow us to do all of these great projects and allow us to continue to pay it forward. Thanks again for all you do to support Hope 4 Hannah throughout the year! ​Just a reminder that we will be doing a Hope 4 Hannah Run/Walk in June again this year. We will soon be seeking sponsors and donations to help make this year's walk/ run a success. Thanks again!!! Here are a few of the projects we are currently working on. 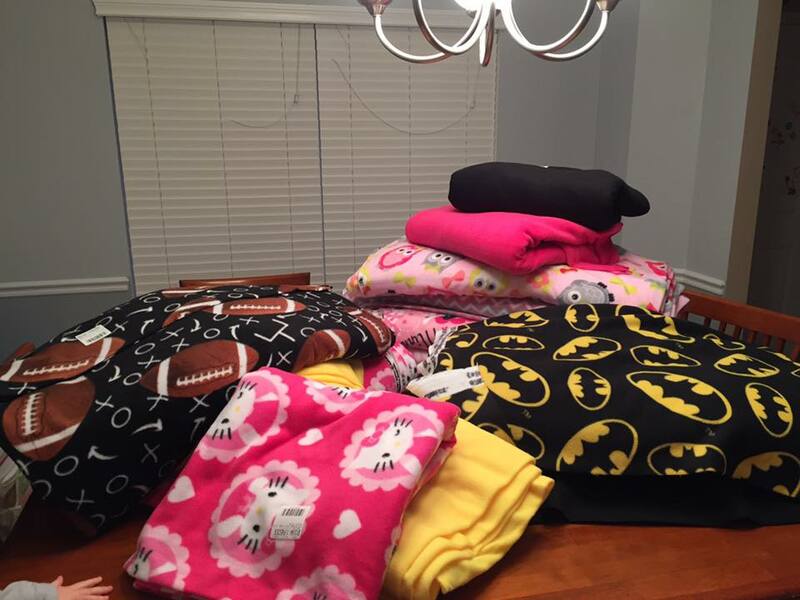 We recently purchased material needed to make over 30 fleece tie blankets. Along with the help of Allie, Evan, and Girl Scout Troop 4510 the blankets will be ready to deliver to Friends of Kids with Cancer by mid February. We also recently donated $500 in financial assistance to two Cardinal Glennon families. Again we greatly appreciate your support and allowing us to continue our mission. ​We were happy to help out with this recent project also. 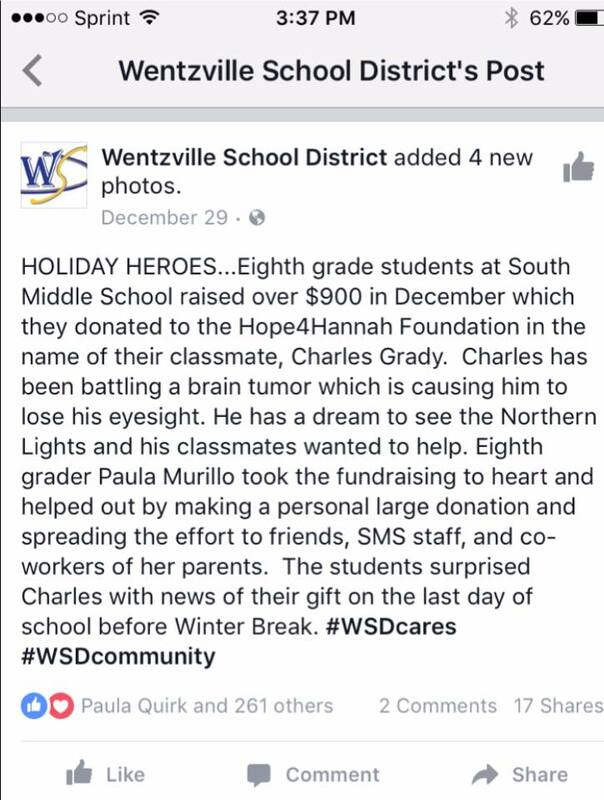 Along with the donation of SMS students of $928, we were able to donate additional money to give the family a total of $1500 for their trip. We wish them a safe and wonderful trip! We want to thank everyone again for such a generous year of giving. Thanks to the kids and families at Crossroads Elementary who donated many items that were used to fill over 40 stockings plus two bags of toys that were donated to Friends of Kids with Cancer. 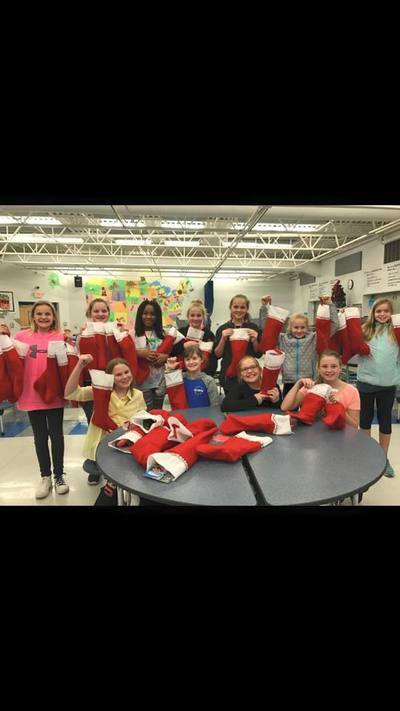 Thanks to the fifth grade Girl Scout Troop 4510 who filled the stockings with the donated items. 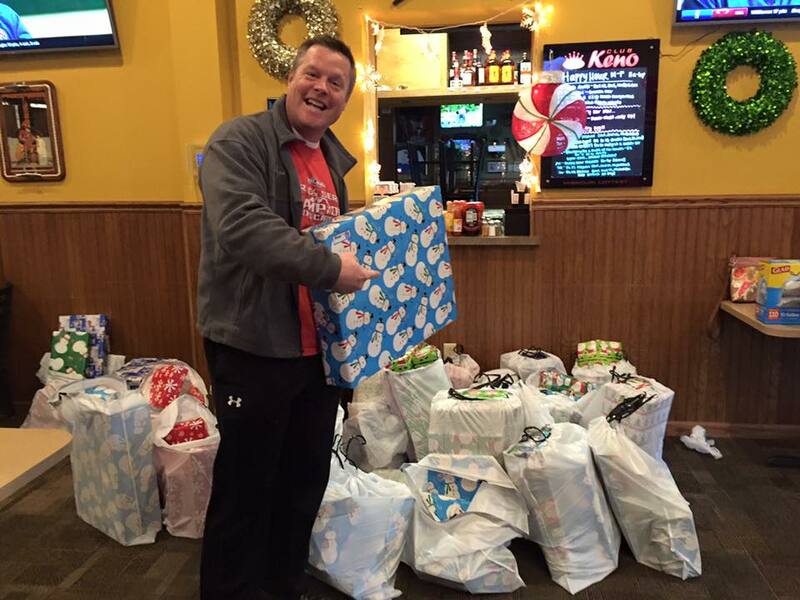 Thanks to all those who helped wrap presents at Bhalls last Saturday morning. Thanks to Bhalls again for allowing us to use your place to wrap. Thanks to everyone who supported our foundation financially this year. 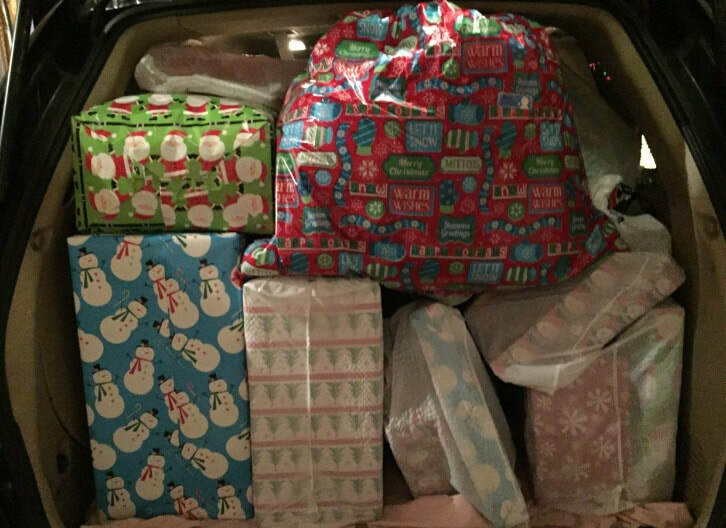 Your donations allowed us to provide two local families (ten kids total) with a magical Christmas. Again thanks to everyone for all you do to keep our foundation going. Have a blessed and Merry Christmas! Allie and Scott were able to go to the Friends of Kids with Cancer Art Show last night. It's been a tradition to buy a piece of artwork and donate it back to the family. This is such an amazing event and raises a lot of money for Friends of Kids with Cancer. We feel so blessed to be able to continue to pay it forward in Hannah's memory. 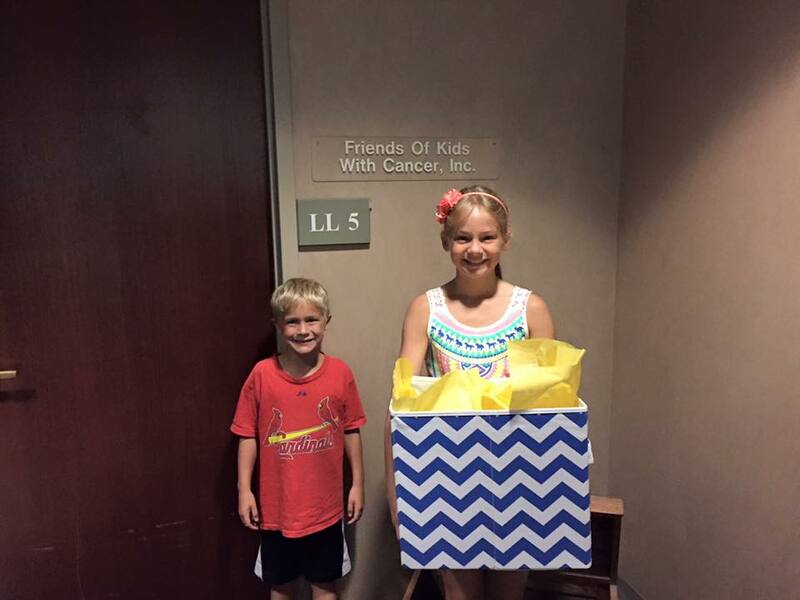 On Monday we were able to drop off goodies for a local family battling cancer with two of their children. 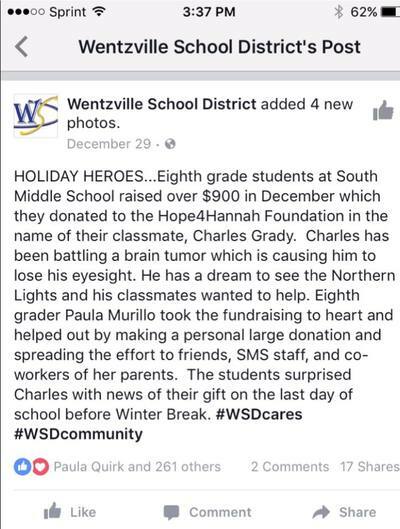 Friends of Kids with Cancer put us in touch with this family. The family needed help starting off the school year. We were able to purchase some school supplies and provide the family with $500 in gift cards for supplies and clothing for their four kids. We cannot thank you all enough for your continued support of Hope 4 Hannah. Your support allows us to continue helping families battling childhood cancer. Thanks to everyone who came out and/ or supported our H4H walk in June. Thank you also to the following individuals and businesses who supported us or continue to support us: Rehabilitation Services, BG Services Inc., Boone Trail Elementary, Kortney Holman-Matilda Jane Give Back Donation, People's Savings Bank-Winghaven, Girl Scout Troop 4032, Kona Ice- Wentzville. For additional projects and pictures of what we have done since beginning our foundation, please check out our Facebook page.